The purpose of Adoration Artists is simple - to get as many people in front of the Blessed Sacrament as possible. We are dedicated to providing communal evenings of Adoration and music and to making Eucharistic Adoration more accessible to everyone! The 177 Project brings an evening of Adoration and music to parishes all over the country. Inspired in part by Catholic Underground, the evening begins with a rosary before moving into Eucharistic Adoration. 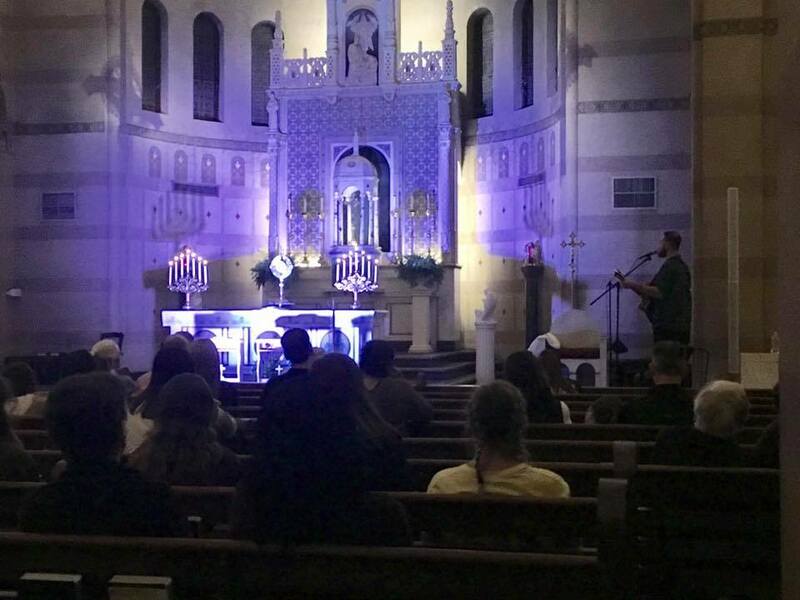 Once the Blessed Sacrament has been reposed, the musician traveling as part of the 177 Project that evening ends the night with an acoustic concert and time for fellowship with other Catholics. Between Labor Day and the end of November of 2018, the 177 Project visited over 130 different communities around the country and provided over 30,000 people with the chance to meet Christ in the Blessed Sacrament. In 2019, Adoration Artists plans to continue the 177 Project, providing these evenings to parishes at little to no cost. For more information on how you can bring the 177 Project to your parish or community, simply fill out the Host An Event form at the177project.com/host! There is so much grace that comes with having perpetual Adoration and we want to help more people participate in it. In 2019, we hope to place our first chapels into communities around the country. While some chapels can be created by making modifications to existing rooms within a church, other places would require new construction. We have come up with a proprietary model to make the building and installation of new Adoration chapels easy - regardless of a communities resources. Each and every dollar that comes into Adoration Artists goes directly into supporting two things - helping to bring Eucharistic Adoration to more parishes and helping to support the talented Catholic musicians taking our mission to communities across the country. Your gift helps support the 177 Project and our perpetual Adoration chapel program. We couldn't do it without you. To partner with us monthly or to make a one-time donation, just fill out the form below. All gifts are 100% tax deductible!